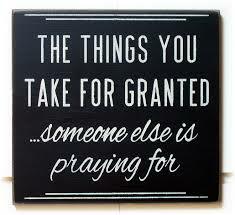 So many people take so much for granted. I think sometimes life is so unfair. People have parents, brothers and loves and take them for granted – I wonder do they realize what they have. I think too the price we pay for loving so much is an immense pain when we suffer loss because I don’t just hurt like normal people – I hurt so much more- I can’t let them go and in many ways I refuse to let them go. Cancer may haunt me, but I will be damned if I will let it define me…I am trying so hard each and every day not to let my health define me nor change my life drastically. I sometimes lose that battle. I struggle to regain some normalcy. Many people just don’t get me nor can understand my choices. And that is okay. I get it. And that is all that should matter. I sadly don’t think many people realize how words can affect other people. Words can be so brutal. Sometimes I just feel lost, helpless. I try so hard to just smile through all. I just wish more people could think before speaking, writing. We all should guard our words better. Words once spoken, can’t be unspoken. We just can’t take them back. Even if it was a joke, even if you were being curious; your words can be hurtful, brutal and may stay with the other person forever. It’s better to be silent than to be an idiot. For the most part, I believe that people don’t mean to be cruel, they just don’t fully comprehend all. I have been sickly since I was born. So I have tried really hard to not take my health nor the days of my life for granted. I sadly see so many people who just think they are invincible. Some of my friends eat right, they exercise, and they still think disease or accidents can’t reach their lives. I just want to scream sometimes. I just want to yell, “don’t take your health for granted….don’t put things off…tomorrow may never get here…”. Sigh….tired. Tomorrow will be a long day for my family. So many doctors, so little time. Aye, so I wasn’t blessed with good health. I have teeth that I’m lucky are still (mostly) there. I have hair that I’m lucky hasn’t all fallen out. I have a body that has been beaten and broken many times over by something I’ll never fully understand. And for a time, I really thought that was all there was. But, I’m a fighter and have decided early on that this wasn’t how my story will end. Me….screaming…appreciate, don’t take the little things for granted…Live each day…live deliciously! This entry was posted on Monday, August 4th, 2014 at 10:09 am	and posted in Advice, Alive, anger, Appreciation, Cancer, Compassion, control, Life, Life Lesson, Tomorrow. You can follow any responses to this entry through the RSS 2.0 feed.